Launched in partnership with IBM, the Jaguar Land Rover (JLR) virtual experience gives prospective customers the ability to configure and then experience their own Jaguar or Land Rover model using sensory-based technology. According to IBM, one of the big challenges for a luxury car brand is that customers expect to be able to personalise both interior and exterior features. Yet with limited physical space, no car dealership can showcase the complete range of options available. While website portals are one way of tackling the issue, they still provide limited ability when it comes to experiencing the products, IBM Global Solution Centre leader for the automotive industry, Naghmana Majed, told CMO. In addition, in growth markets, there isn’t a lot of understanding around products, she said. 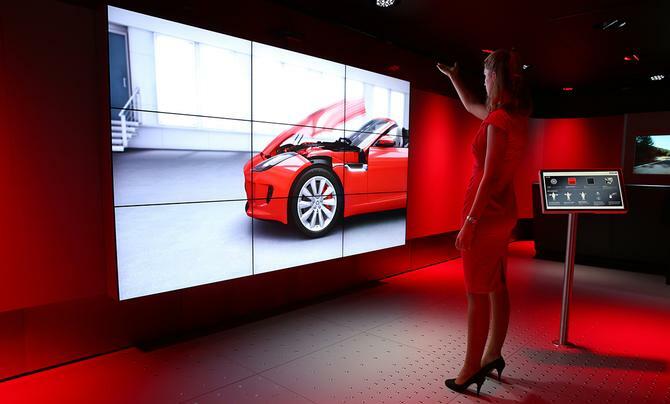 IBM said the JLR virtual experience was inspired by consumer retailing and social media. The JLR experience is based on CAD data from the car manufacturer and also includes information icons, allowing consumers to tap and read information about specific features of the car. Six Jaguar/Land Rover dealerships are trialling the virtual experience globally and are six months into a one-year pilot. An accompanying application records all user interaction data, which retailers can then run analytics on via the cloud to better understand what customers are looking for and how they engage with the cars. Majed said IBM can create a car ‘heat map’ showing if more people are interested in configuring interiors, for example, or are comparing models. The data could have two core uses, IBM said. One, to provide analytics on customer history and user experience; and two, to provide dealers and sales staff with consumer intelligence to help define their next marketing campaign or call to action. Majed said it also helps unite dealerships with the otherwise digital-led consumer purchasing process. Consumers looking at various configurations online can generate a QR code, which they can take into a participating dealership to trial using the virtual experience. Jaguar Land Rover CIO, Jeremy Vincent, said IBM assisted with building the technical solution as well as worked with teams on how the technology could change the way it interacts with consumers. The initiative brought together almost every function across the JLR business including marketing, product design, finance and dealer operations. “IBM helped us to not only build a technical solution, but more importantly transform the whole culture and mindset of our business towards a more digitally informed and oriented model,” he said. While the solution and customer dashboard for Jaguar Land Rover was bespoke, Majed said IBM can build similar solutions for other retailers or manufacturers that produce complex products that offer an array of configurations. These could include aircraft and ships. The solution can also be integrated with third-party marketing technology platforms.